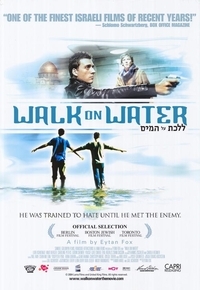 Walk on Water tells the transformational story of a Israeli agent named Eyal who’s mission is to kill an aging Nazi war criminal before he dies. Eyal befriends the Nazi’s grandchildren and soon looses his tough-guy attitude. Eyal learns that the German youth no longer have this hatred that the Nazi’s once had and he tires leave the mission.